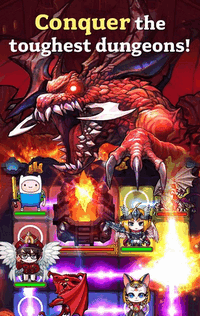 Dungeon Link by GAMEVIL is a dungeon crawling puzzle RPG in which your heroes must team up and link attacks to kill evil creatures and the Demon King. In this game, strategy is just as important as power! The game combines two genres into one in a seamless manner. It's an action-based puzzle RPG with a unique puzzle element which you use to attack your enemies. In each level you play, you just draw lines from dot to dot, as a start and end point for your character, to eventually take down your enemies. Neat, huh! As you play using our Dungeon Link version 1.33.4 Modded Apk, you get more power thanks to the God Mode. You get to deal a single hit to K.O. your enemies. Plus the demons will seem weak and have 1dmg. If you don't like the hacks you can always grab the official version from the Play Store. You get to do all that without any special abilities (like healing), power-ups (that increase attack, defense, heal character), or any other thing! You have 5 classes to choose from (Knight, Rogue, Mage, Healer, Archer), and 250 different heroes to collect. Gold and gems are the in-game currency which you can earn or buy with real money, in order to evolve and Enhance your character and your team accordingly. 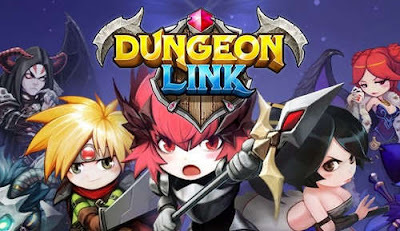 Dungeon Link has no unlimited gold but using the hacks mentioned above can help you progress through the levels easily.